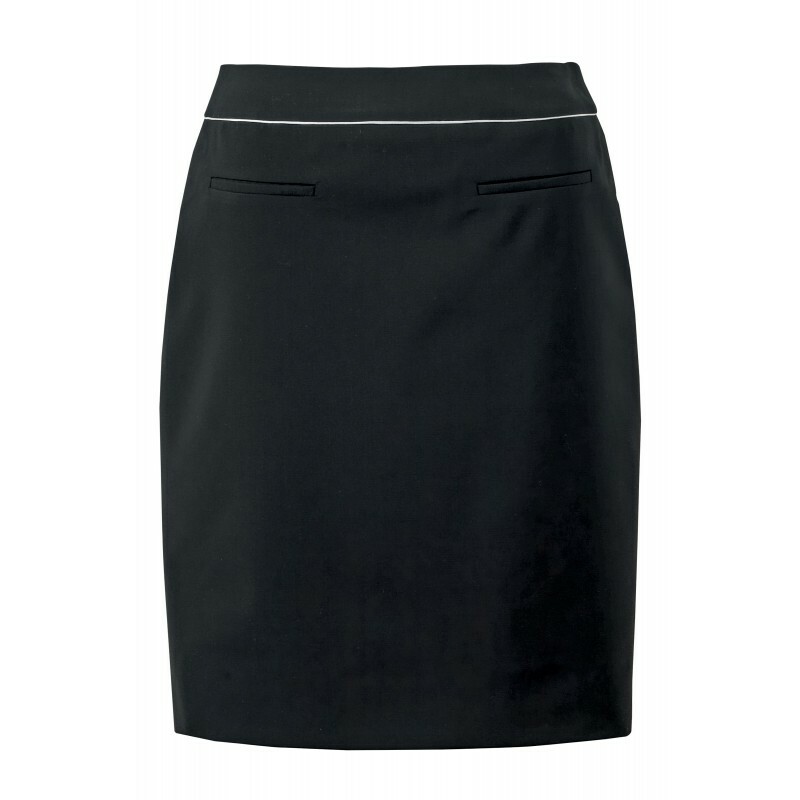 Lined ladies skirt, with ecru piping on waist. Invisible zip fastener. 2 false pockets.